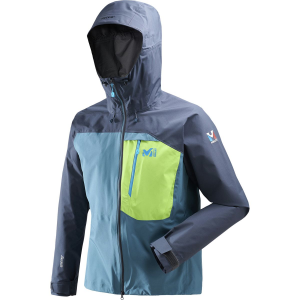 High altitudes, gnarly terrain, weather that can turn in an instant--the Millet Trilogy V Icon Dual GTX Pro Jacket is ready for it all and then some. 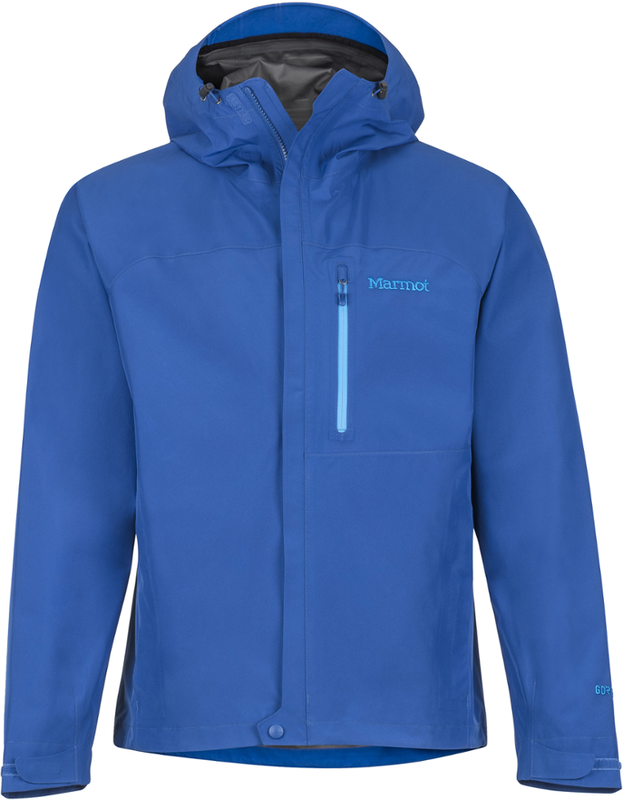 Outfitted with a three-layer Gore-Tex Pro membrane for the highest performance in breathability and durable waterproofing, this mountaineering shell is ready for the most intense alpine adventures you can throw at it. 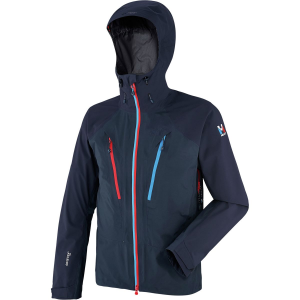 When your steep approaches and technical ice routes have you heating up inside your shell, you can let in some cool air with the zippered underarm vents, while the climbing-helmet compatible hood gives you there-when-you-need it coverage against falling snow, driving rain, and everything in between. 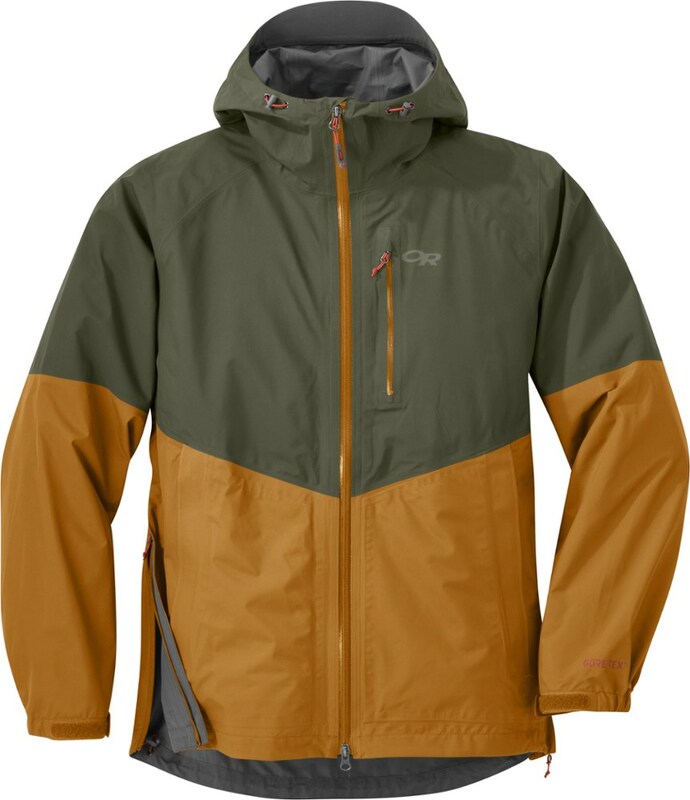 Coverage wouldn't be much without visibility though, especially not on high rock faces and towering summits, which is why it's got an adjustable storm visor and a fit that allows for a full field of vision. 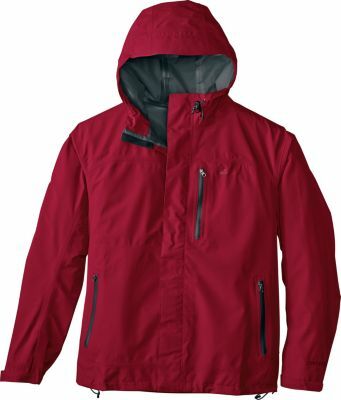 The front of the jacket has a two-way zipper that lets you pull on the jacket without interfering with your harness when it starts to rain during your belay or lead. 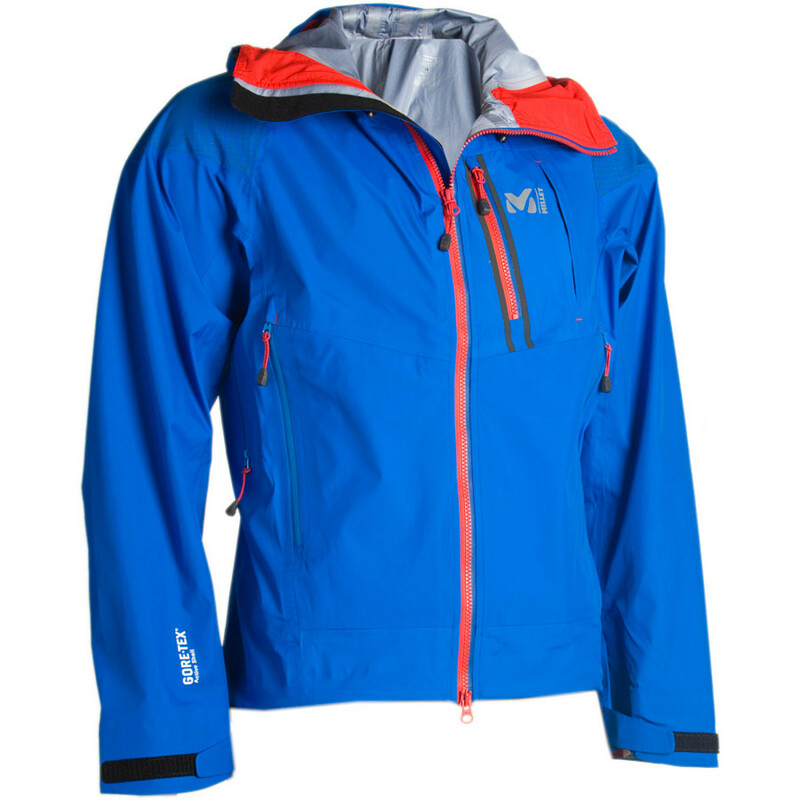 The articulated design and slim fit ensure a full range of motion during your ascent, while raglan style sleeves enhance durability at high wear areas that are vulnerable to abrasion from pack straps. 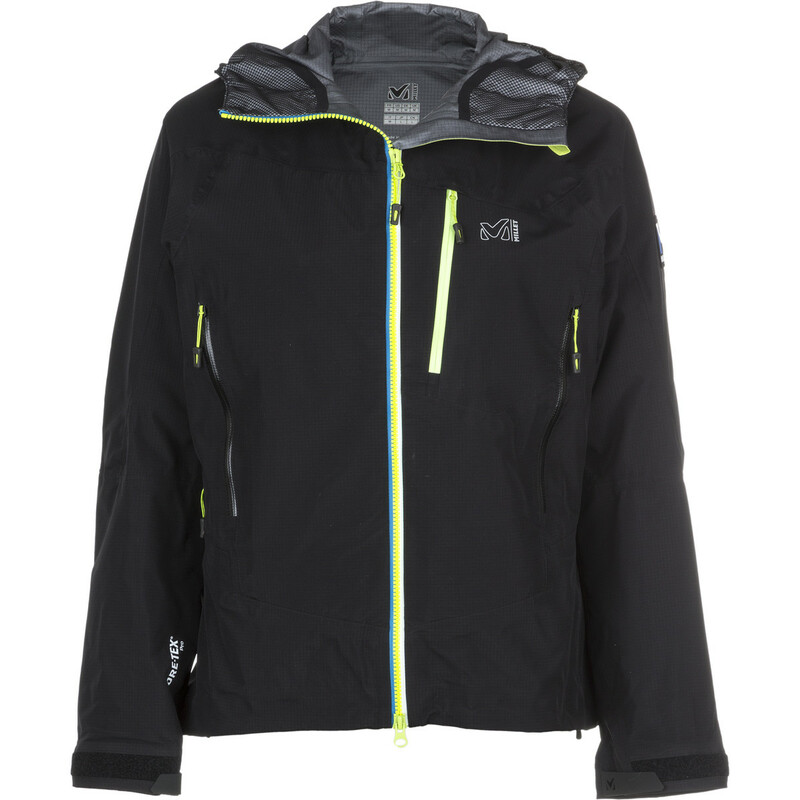 High chest pockets are accessible with harnesses and pack straps, and feature water-resistant pockets and a helpful drainage system to ensure that gloves and maps don't end up soaked.